Sometimes problem created on CD/DVD ROM, because of it you can not setup Windows from disk. So, the solution for this problem, you can use your pen drive or USB drive to boot. Just your pen drive have to contain bootable windows. So, Do you want to setup windows in your PC from USB drive? To do this, you have to make your USB drive bootable. A free tool will need to make your USB drive bootable. There are many free tools you will find in online. 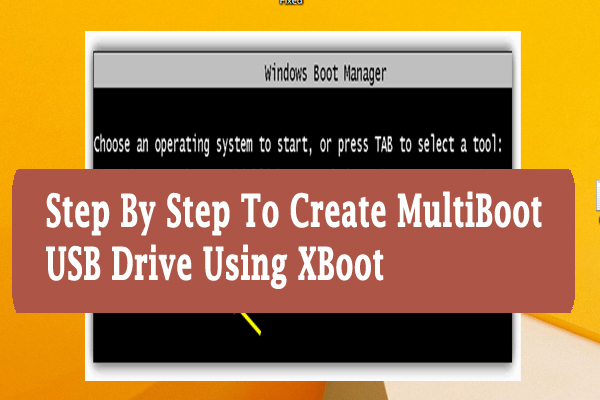 I am going to show you the process to create multiboot USB drive using XBoot. XBoot is free and easy to use. Just download and use it. Step 1: First Download XBoot . Here you will find all the versions of XBoot. Download the latest and install it on your PC. Step 2: Then click on File>Open. ISO files will open. Drag and drops files in the XBoot window. Add all the files. Step 3: Then click on Create USB. Step 4: Select USB drive from the drop down menu. Step 5: Select any Bootloader from the list and click on OK.
Have you executed all the steps perfectly? Your USB should be the bootable device. Here is a important fact that .NET FRAMEWORK 4.0 should be installed in your system to work on XBoot. If you don’t have, click here to download .NET FRAMEWORK 4.0 version. Thanks a lot for reading this article. If you find your solution in this article, I am successful. If your like this, please share it on Facebook and Twitter. Thank you so much for being here. Here is the step by step video tutorial for making USB drive bootable. Hi, This is Shahid Saifullah, the owner of BlogLand.info. A passionate boy in blogging. I started BlogLand to serve the new bloggers providing new tips of blogging and SEO. Thank you so much for reading my blog. Be connected with me on Facebook, Twitter and Linked In.